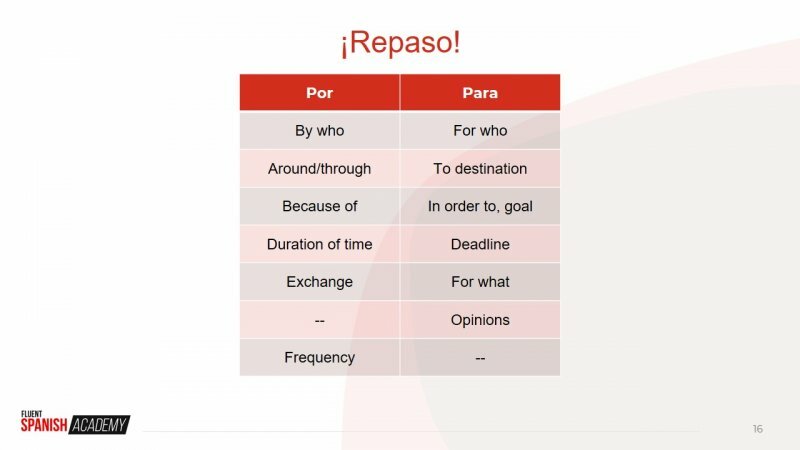 Knowing when to use por vs para is one of the most confusing parts of Spanish grammar for new Spanish learners. Even after I was comfortable holding entire conversations in Spanish, I still got uneasy mid-sentence trying to decide whether to say por or para. If you can relate or if you are still struggling to remember the difference, you are not alone! Por/para confusion is so common that I’ve made a video describing the most common situations and mistakes that Spanish learners need to know. If you’d like to skip straight to the video, you can find it here. Or you prefer to see the information in print, or want additional examples, scroll down and read on! 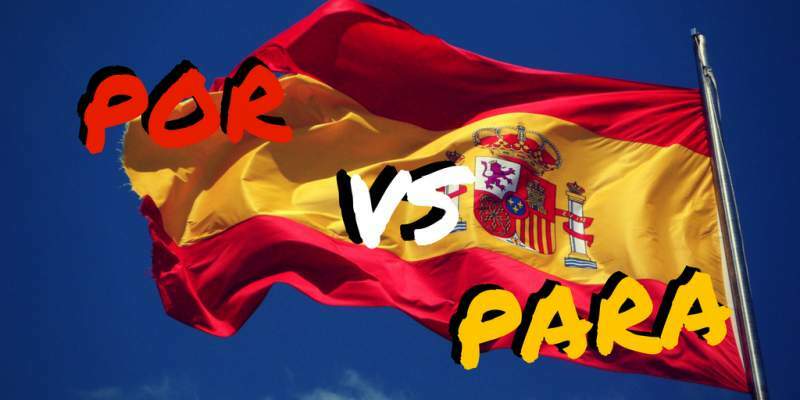 Why Is Por vs Para So Challenging For Spanish Learners? 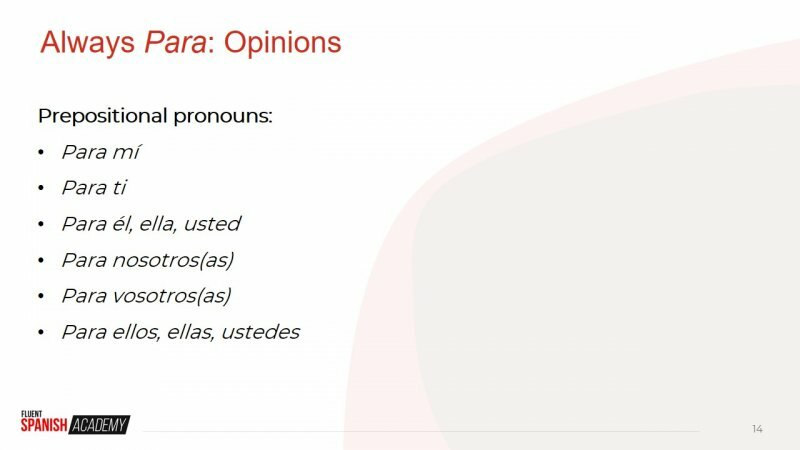 One reason that most people who learn Spanish find por vs para difficult is that most translations of por and para are incomplete. When you first started studying Spanish, you were probably told that both por and para mean “to”. While that is correct, it is an incomplete definition. Let’s look at a more comprehensive definition of each word before moving into the most helpful rules and examples you’ll need. As you can see, por and para are more complex than simply two different versions of the same word. In this example, I used por because “I run in (or through)” the park. Anytime you are talking about travelling through a place, use por. One part of the sentence (voy para España) denotes your final destination. The remainder (voy a viajar por todo el país) describes how you will travel within Spain once you arrive. 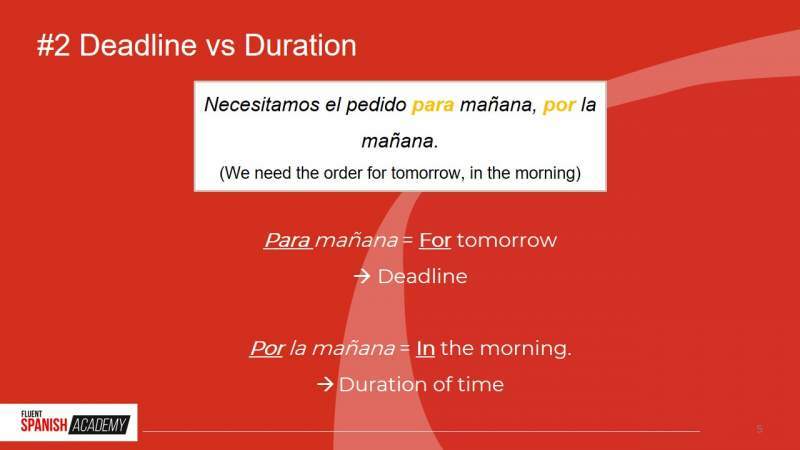 In this example, para mañana (for tomorrow) and por la mañana (in the morning) have two very different meanings. 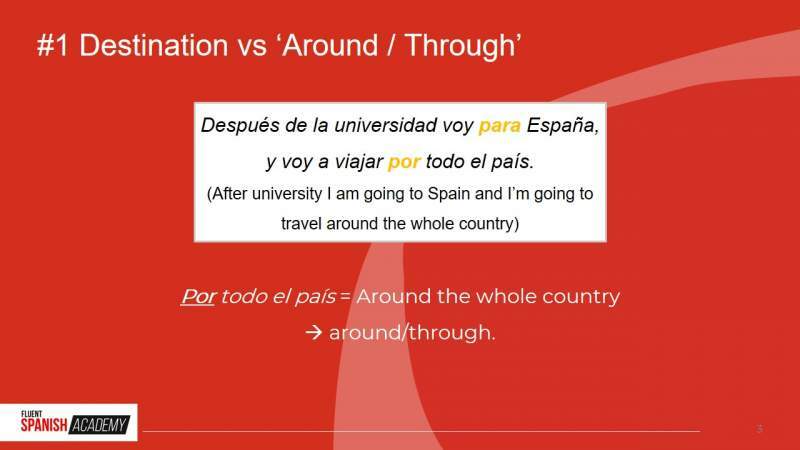 Another way to think about this rule is to remember that you use para when talking about a destination. In the previous example, the letter’s final destination is Carlos! The first sentence is something a singer might ask a fellow cast member, while the second sentence is one you might hear between friends. The final rule of thumb for you to remember is that you always use por when you are talking about an exchange. This is similar to the replacement example above. Gracias por la invitación. (Thank you for the invitation). In this sentence, you are offering thanks in exchange for the invitation. 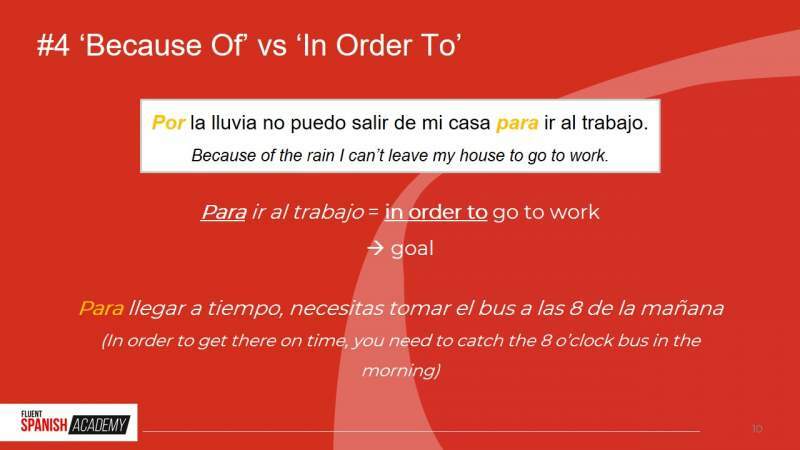 In both examples, por denotes a trade, while para explains the objective or purpose of an action. By this point, you have probably started to notice a pattern in when to use por and when to use para. That’s because many of the “rules” are closely related! While it may seem daunting when you’re first starting out, the overlap means that the more you use por and para, the more intuitive the differences will feel. In English, you might start that sentence with “I think” or “It seems like,” but in Spanish, you almost always begin a statement of opinion with para mi. Remember, don’t let the many uses for por and para discourage you. With practice and time, you will intuitively know which word to use when. My suggestion is to spend lots of time listening to and reading Spanish. As you do, you’ll encounter por and para over and over again and in time you’ll develop a natural feel for when to use each one. The best way to do this is by reading material that is fun and interesting and in my opinion, stories are ideal. If you’re interested in finding out about some material I’ve made that helps you master por vs para (and lots of other tough elements of intermediate Spanish) in a fun and natural way, click here. Either way – kepractisinging! And don’t be afraid to speak, even if you make some mistakes. 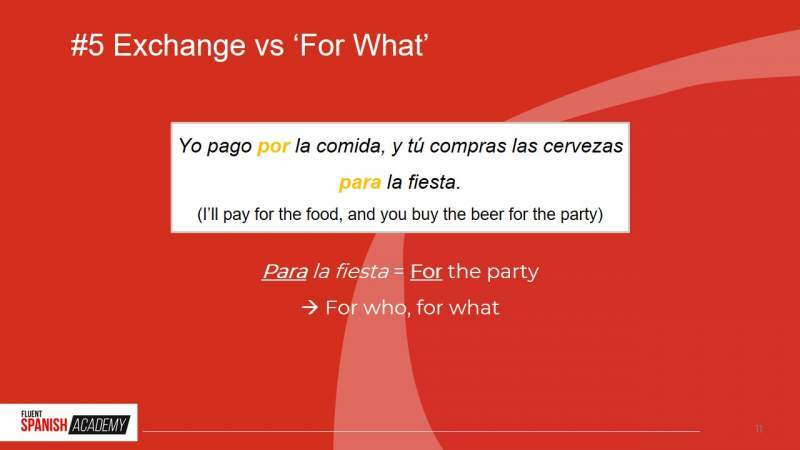 Context will help Spanish speakers understand what you mean, even if you mix up por and para. 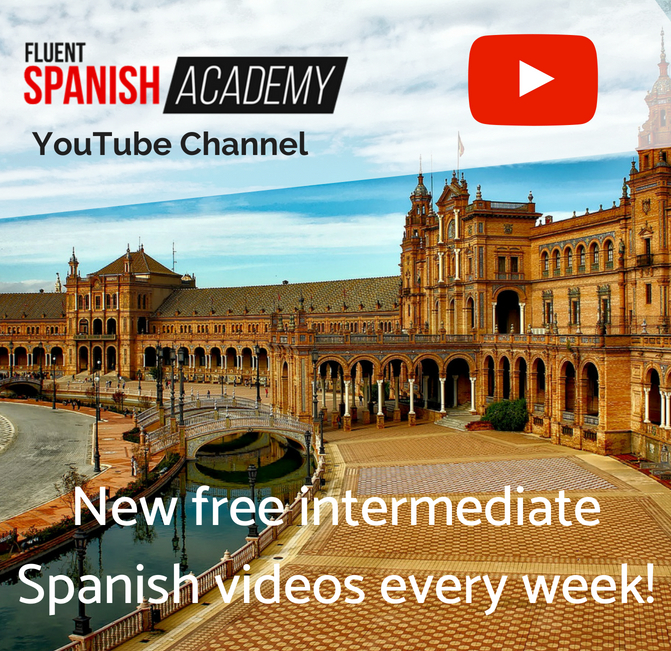 You can refer back to the video for a quick refresher and use these examples to help guide you in your study of Spanish. Before you know it, por vs para will be second nature para tí! What other aspects of Spanish grammar do you find difficult? Leave a comment below and let me know!